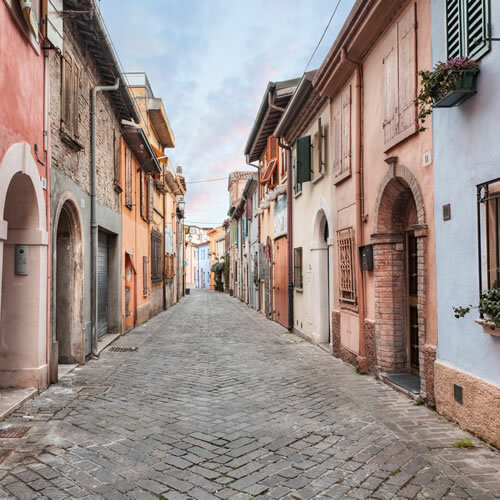 Situated halfway between the Canal Harbour and the river Marecchia, San Giuliano di Rimini is a charming hamlet which nestles inside a fascinating bay sheltered by safe breakwater barriers. San Giuliano is Rimini's oldest settlement. It was founded as a fishing village in the Middle Ages (around the year 1000). 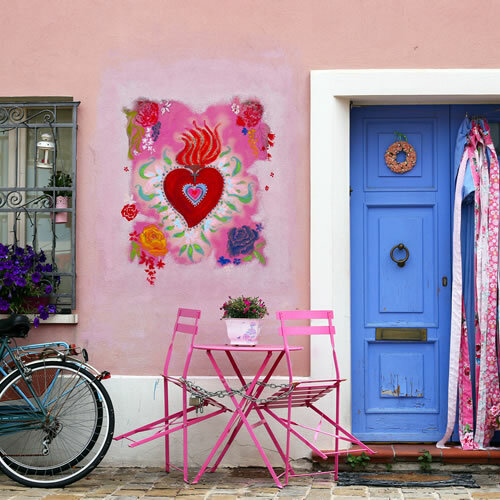 It is divided into two distinct areas: "Borgo San Giuliano", which was repeatedly celebrated by the popular director from Rimini, Federico Fellini, in his films and still cherishes impressive murals depicting scenes from ordinary life, and "Marina", the charming coastal area. In the evening, the popular Via Ortigara turns into a traditional meeting place gathering night clubs, fish restaurants, pizzerias, bars and shops which are open till late at night. Apart from compelling local beaches, not to be missed is the new Basin of San Giuliano,"Marina di Rimini" Tourist Harbour, which is regarded to be one of the most beautiful and modern ports in the Mediterranean Sea. Its 1300-metre-long catwalk is flanked by charming docks, bars and an elegant restaurant provided with panoramic terrace, the latter offering tourists the possibility to enjoy utmost relax. San Giuliano offers those staying at Hotels in Rimini the possibility to discover the surrounding area. Not to be missed is the ancient fishermen's carnival, the so-called "Festa de Borg di San Giuliano", which is livened up by impressive reproductions of the depths of the sea and sea monsters accompanied by traditional folk music from Romagna. On that occasion, the small squares of the ancient Borgo San Giuliano, which is situated beyond the Tiberius Bridge, turn into open-air stages and theatres and attract large numbers of visitors looking for incredible gastronomic stalls, music shows, exhibitions, live performances and outstanding fireworks. 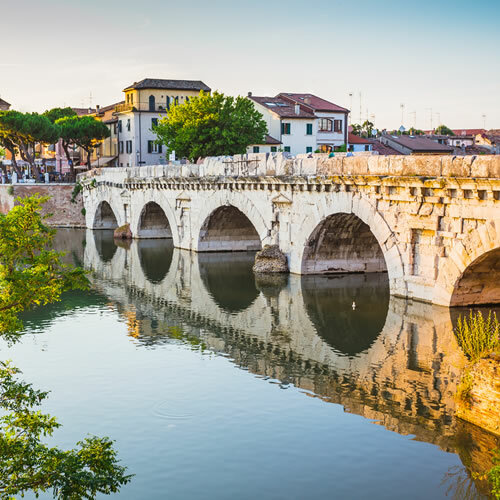 Established in 1979, this festival is a traditional appointment which every two years attracts over 60 thousand visitors who stay at Hotels in San Giuliano di Rimini. The Tiberius Bridge in San Giuliano was commissioned by Roman Emperor Tiberius, the adopted son of Augustus. The coastline of San Giuliano is reminescent of Federico Fellini, who is celebrated by many murals. The so-called "Festa de Borg" in San Giuliano di Rimini is the most appreciated folk event in the city. It offers tourists the possibility to taste genuine local staples and to take part in amazing live shows and performances.